It all started with an idea to aware people around us about latest developments in science. The year was 2003 and I was in 10th standard. There was news in a newspaper about the possible visibility of International Space Station (ISS) by naked eyes. I went through a number of books and magazines to find more about ISS. I found not more than few pictures in an old magazine. Internet was not available as easily as now back then. In Ahmednagar, there were few internet café. So I went to some place and downloaded information. The night came and we saw a small dot passing over a starry background. For us, that was nothing like anything. I gathered tens of friends told them about what we were going to observe. All were so astonished that I could understand the gravity of communicating knowledge of unknown things. So I discussed with friends and we started a science communication group. We started with public lectures on Astronomy, organizing talks of Scientists, slide shows, sky observation programs, science festivals in schools etc. All of the volunteers made it possible to reach hundreds of students in those days. After passing 12th I was more drawn into science popularization. And started writing articles series for newspapers. One of my article series, VigyanVarta, was running for more than 100 weeks. Apart from this, I wrote a number of episodes for Akashwani (Explaining about miracles of the Universe). My dream back then was to become an Astrophysicist. So I took admission and graduated as a Physics student. As my project, I made a telescope in B.Sc. Pune: After completing my graduation I got admission for M.Sc. in Pune University. My stream was Instrumentation Science. To this time I have successfully completed 5 years as a science communicator. During this journey, my inclination shifted from being Astrophysicist to something else. With increased understanding of scenario, I decided to build a career in ‘Science Communication’. I held a number of training programs for teachers and kids during these years. 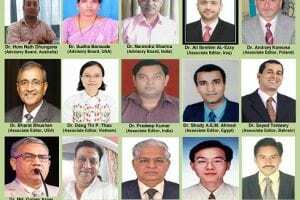 Most of them were focused on ‘Activity Based Science Education’. Somewhere I realized that there is a huge gap between talent and skills, knowledge and actuation within kids. A kid with 95% cannot even tie a thread even though we instruct him/her. So though we have talented young minds there is a lack of skillful education system. To change this scenario I decided to start an institute which could develop cognitive levels of a kid with ‘Hands on activities’. Providing Hands-on Experience to students is a verified method for their growth, analytical skills, and logical thinking. It is accepted as a proper education method in many developed countries. Activity-based learning helps in boosting creativity and confidence. School child is fascinated with a pool of thoughts, high energy. We don’t want them to lose it over violent video games or Television. After completion of M.sc. I have joined a firm as science trainer. But shortly I quit the job and started ‘Science in Action Club’ for training and developing resources on ‘Experiential Education’. 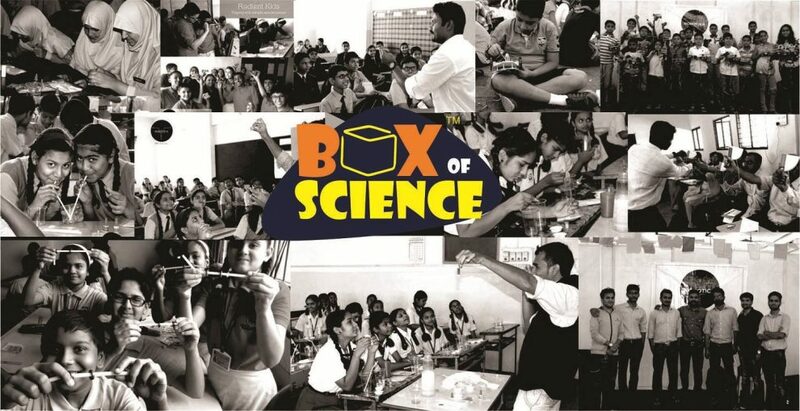 Soon we developed a number of kits and programs under the title of ‘Box of Science’. We have decided back then to contact schools and educational institutions for spreading this culture of Activity Based Education. At Box of Science, we believe that education has the power to transform any nation and all earthlings. But the way of educating little curious sparkles needs to be revamped. The current system lacks in many ways. One of that is an experiential approach. Hence we have dedicated our efforts to transform it. Devoted activists from our team have designed diverse activities to nurture curious minds. Providing Hands-on Experience to students is a verified method for their growth, analytical skills, and logical thinking. It is accepted as a proper education method in many developed countries. Activity-based learning helps in boosting creativity and confidence. School child is fascinated with a pool of thoughts, high energy. We don’t want them to lose it over violent video games or Television. We believe that every child is special and if nurtured with excellent hands they will be the best citizens of India and perhaps the world.Our team is committed to producing every aspect of education with Excellency. We will continue to inspire young generations through our efforts and experiential culture. Our n is to empower our generations with confidence that they can create something, they can lead the world. The education that we are providing today is generating platoons of clerks. Reason for that is lack of Learning-by-Doing approach. We want to change this. With our efforts, we envision an idea, the possibility of transformation. Join our movement for Inspiring Young Minds of the India. Since the dawn of our civilization on this planet, we have directed our growth on the foundation of the education. Educating next generation plays a vital role in our evolution and persistence to survive. But as we can see somehow; we are losing or we have lost RADAR that points to an ideal direction. Education for passing exams and getting jobs is merely one way to look at it. Education can be more than that. At Box of Science, we innovate ways to nurture curious little geniuses, and we believe that education comes first for any transformation to be achieved. Held CSR projects for a number of organizations like SAMPARC Balgram, Snehalaya, Smriti Pratishthan, ISKON, Aranyanand etc. 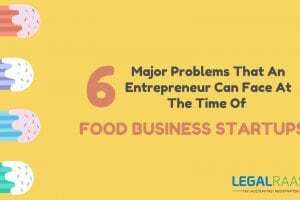 In the initial stages, we had a scarcity of funds and resources. As there were very few people in science activities, we had to develop our own structure. We had to go through all the possible sources of information. Finally, we succeeded in developing around 50 activities which were mapped with school syllabus of major boards around various states (Including CBSE, ICSE etc.). Currently, we have more than 200 activities in Science, robotics, astronomy and other fields. After developing programs we had to reach schools and parents. Paying capacity for things other than academic entities is bit secondary for our society. Hence we had to find ways to reduce the cost of our kits and programs. We did that effectively. Hence many of the schools accepted our version of science education. We are serving in rural areas as well hence all of our programs need to be developed twice to suit rural income groups. This caused a lot of brainstorming and research. There came a number of days when we had to just sit and revisit our plans, strategies due to setbacks. But something inside pushes me again to stand and explore new directions, to keep exploring what we have started. I believe that – we make living by what we earn but we make a life by what we give. We are here for a very blink of a time. And if we live this span without contributing to life forms on this planet, our existence is in vain. If you ask yourself, why we are here? What could be the most valuable addition we can have to this world? The answer zeroes in at, sharing…sharing knowledge. It’s like passing of the baton, of wisdom that we acquire during our journey on this planet. So here is the goal, mine goal. To assist our future generation in reaching their best. Most efficient way to do that is to cherish their creativity, imagination and hands-on activity promotion. It not only boosts their curiosity but the whole attitude. We are working for activity-based education. Bringing people into the mainstream is of utmost importance. Most of the developing countries are struggling with skill development in their youth population. There is no dearth of information, but the way to convert knowledge into skill sets. Unless we skill our people, they might not be able to earn living. Though the literacy rates are moving towards the high end of the graph, unemployment is not behind. Underemployment has also risen over years. Amidst of huge gap between job seekers and those who create them, the situation may worsen in future. What we need today is a scientific method to educate our kids. This will help in a skillful human resource. If somehow we manage to give them confidence that they can create something, we will succeed in generating ‘Job-Creators’. We need more teachers with a passion to inculcate experiential education. Reforms in the education system are on the horizon for a decade. We should not delay this process further. It may lead to the destruction of the civilized world. It is a cycle. If we don’t equip future generations with skills they will not earn living easily. That may increase the crime rate. Dependency is also a factor to reconsider. Hundreds of Ph.D. candidates are unemployed today. That means somewhere we are going wrong. At ‘Box of Science‘ we are brainstorming over this issue. The solution we came up with lies in ‘Activity Based Education’. We chose science subjects for that. This project by us is focused on ‘Learning by Doing Culture’. Science is a key subject to boost curiosity in kids. Once this habit is inculcated in them, s/he will definitely lean to analyze things. This will help in the cognitive development of children. Being confident is key to success in the current era of competition. And to make them withstand shocks of brutal race, we need to strengthen their skills.